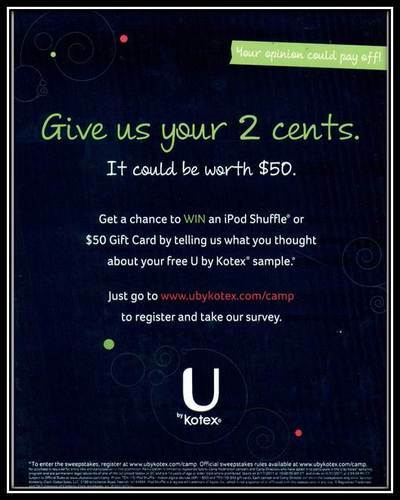 • Program Details: SCF distributed U by Kotex Pads to 1.1 million + campers across the country. The Pads were handed to the campers at registration, ensuring they also were viewed by their parents. • SCF and Kotex received great feedback from campers and camp directors in the for of camp director surveys and campers online feedback.